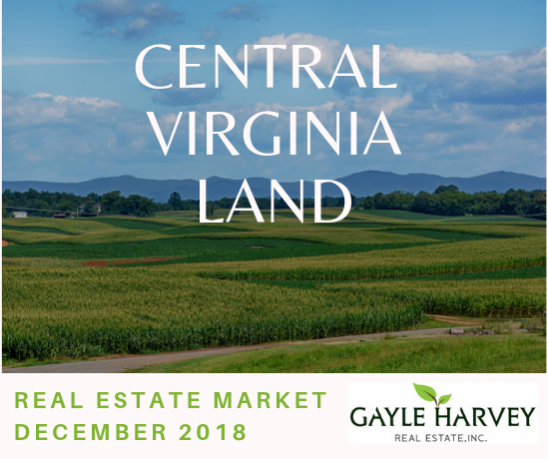 Review the latest real estate market information for land in Central Virginia. Small parcels, between 21 and 50 acres, account for the large majority of land sales in Central Virginia. The most active price point for these smaller land listings is under $500K, and there are currently twice the number of active listings on the market as there were total sales in all of 2018. Similar market conditions are also seen in the mid-size and large-size land listings here in Central Virginia. As a seller in a market like this, it’s important to have an experienced guide to help you with the sale of your property. A market with so many active listings means it’s crucial for land buyers to have a knowledgeable real estate broker helping you identify listings that meet your needs and guide you through each step of the buying process. 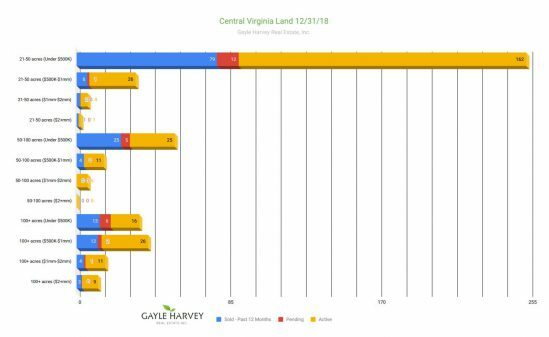 If you have questions about this market report and how it might impact your decisions when buying and selling land in Central Virginia, please reach out to me. I would love to answer your questions and help you make the most informed decisions possible for your real estate transaction. Contact me, Gayle Harvey, at Gayle@GayleHarveyRealEstate.com or 434-220-0256. Check back in each week as we break down the market information for active, pending and sold land listings by individual county. Central Virginia Land for Sale Copyright © 2019.